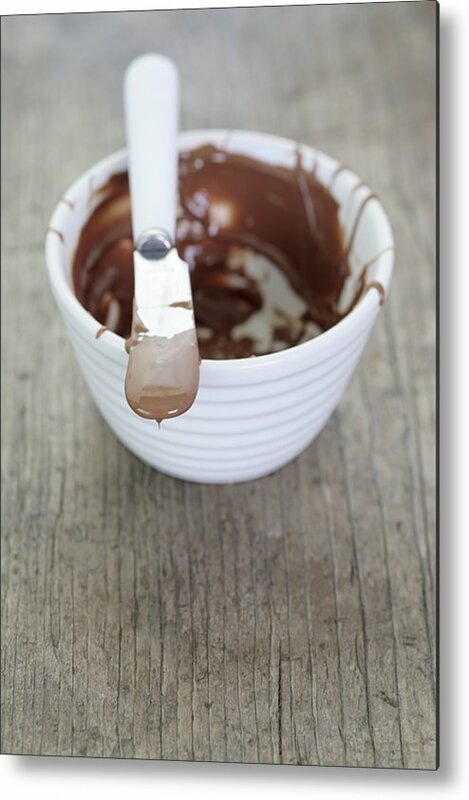 Chocolate Sauce In Bowl by Neil Overy - 6.625" x 10.000"
Chocolate Sauce In Bowl metal print by Neil Overy. Bring your artwork to life with the stylish lines and added depth of a metal print. Your image gets printed directly onto a sheet of 1/16" thick aluminum. The aluminum sheet is offset from the wall by a 3/4" thick wooden frame which is attached to the back. The high gloss of the aluminum sheet complements the rich colors of any image to produce stunning results. There are no comments for Chocolate Sauce In Bowl. Click here to post the first comment. Hi, Welcome to my page on Fineartamerica - thanks for looking! I am a part-time professional photographer. I don't specialise in any particular subject matter with my photography, but try my very best to see beauty in as many things as I can. I'm often drawn to the finer details in my work, so while not shooting a particular subject, I guess my style would be described as intimate! I really hope you enjoy my photography! I'm lucky enough to live in beautiful Cape Town which provides me with endless opportunities. Cheers, Neil.